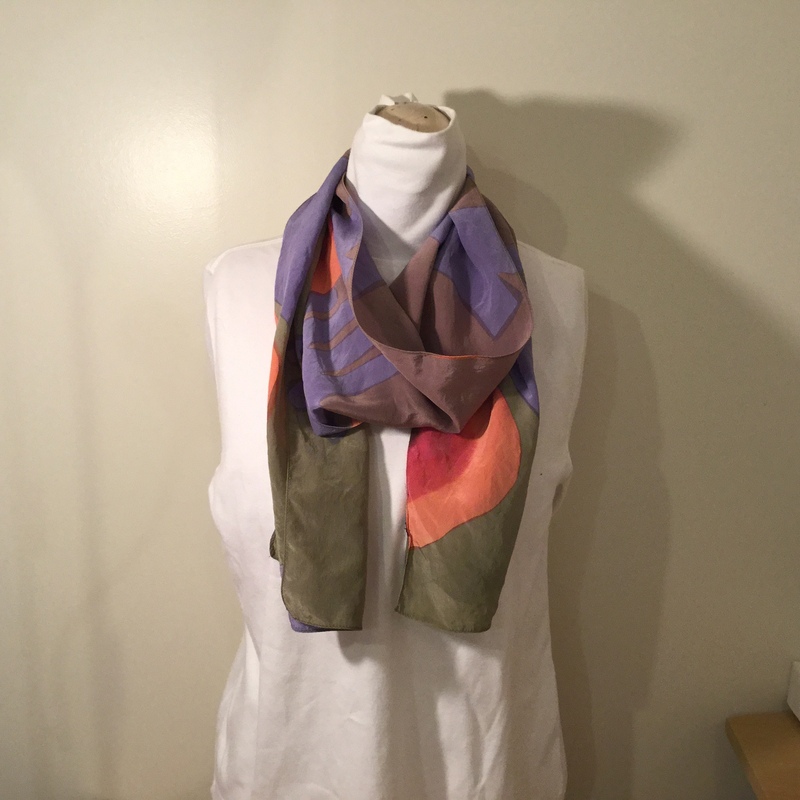 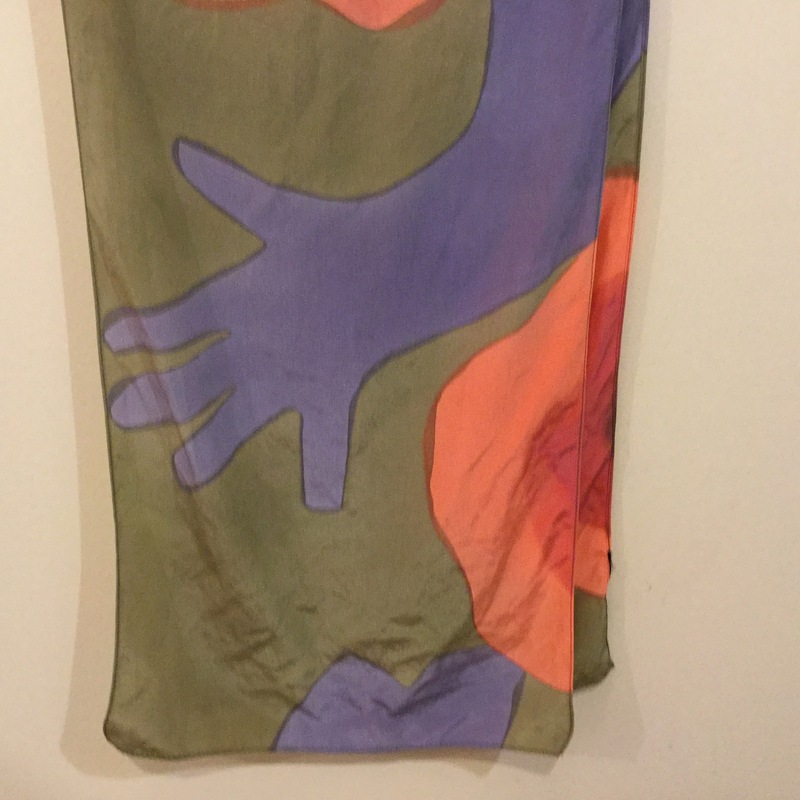 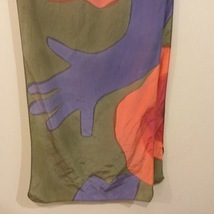 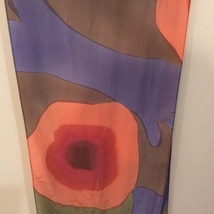 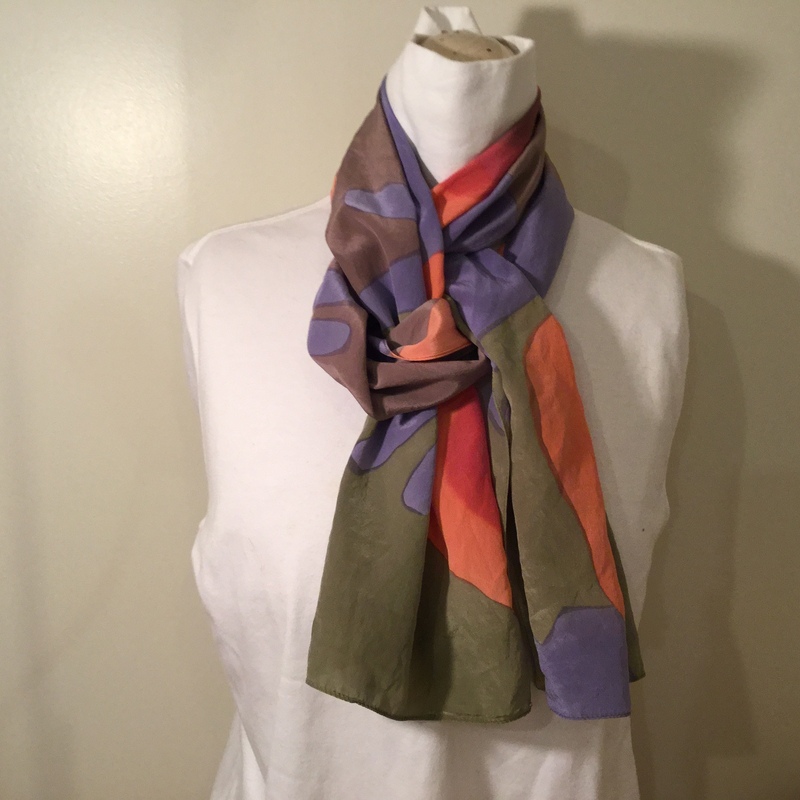 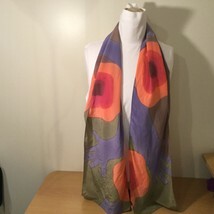 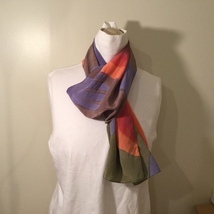 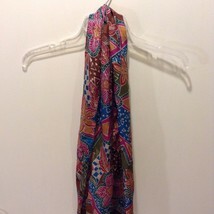 Gray Green Base Patterned Hand Painted Scarf 100% Silk. 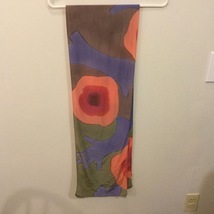 Arms and flowers pattern. 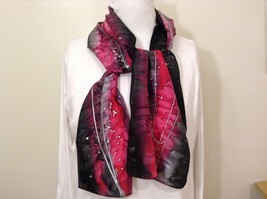 Colors include indigo, array of pink. 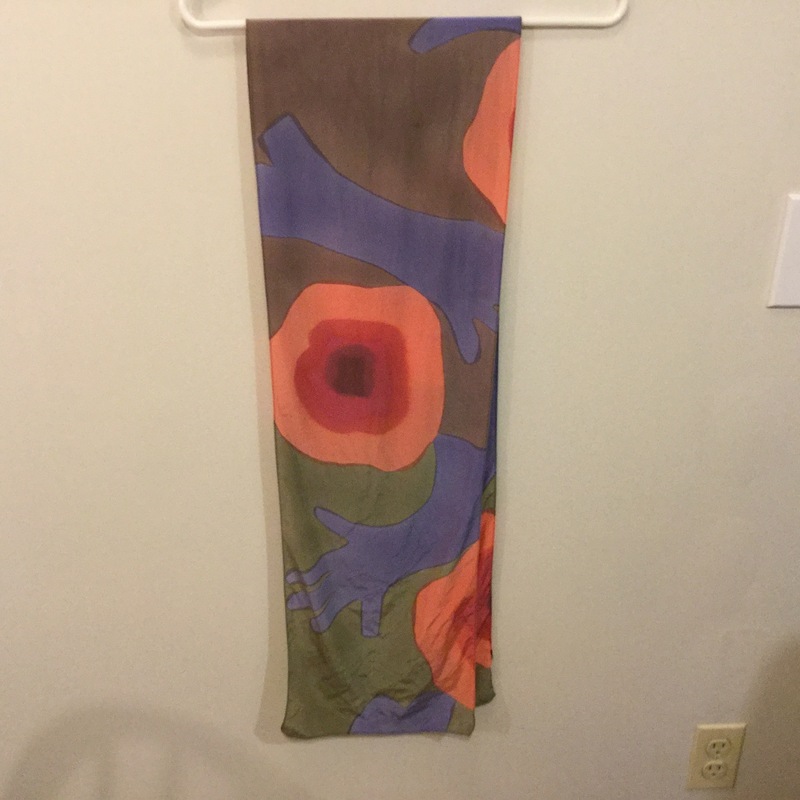 Measurements: 69" long x 10" wide.